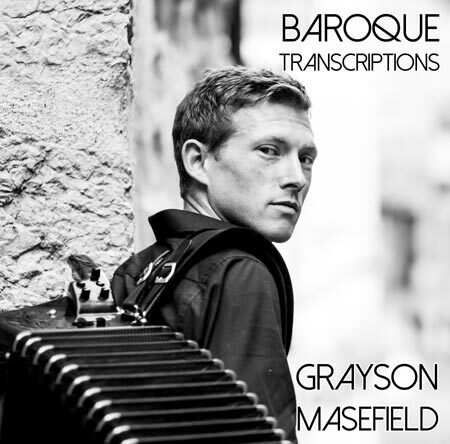 Grayson's latest album 'Baroque Transcriptions' has just been released containing his own arrangement of music from Pachebel, Scarlatti and Bach. 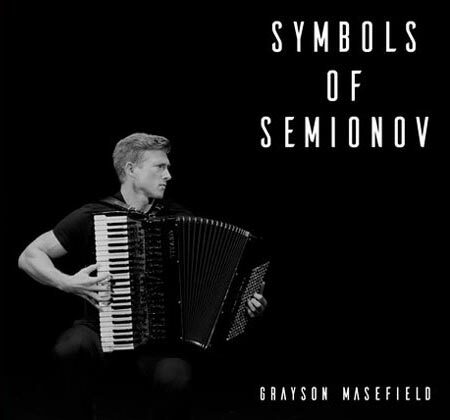 Symbols of Semionov is a tribute to one of the most recognisable composer, player and teacher in the modern accordion wold Viacheslav Semionov. There are four works in this CD which all are based on a symbol, idea or theme. It demonstrates the diversity of music that can be written for the classical accordion containing influences from Spain, American jazz and blues, Cinematic materials and of course Russia's own folklore and history. 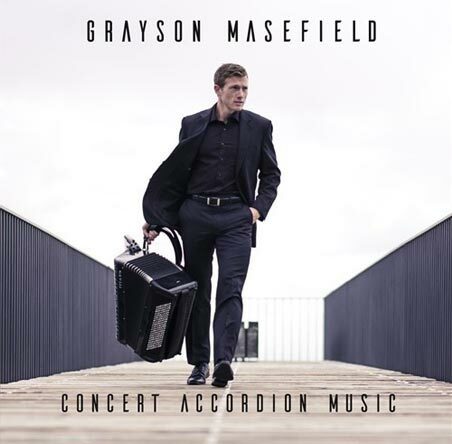 Concert Accordion Music contains some of the program Grayson used to win the Coupe Mondiale and Trophee Mondiale in both the Senior Classical and Senior Virtuoso categories. The first part contains Baroque and Classical transcriptions and original works for classical accordion and the second has a lighter style with French musette, Nuevo Tango and Novelty pieces.